Our third CSA delivery was last week. I know, I know….I slacked off and I’m posting this hot on the heels of another pickup. 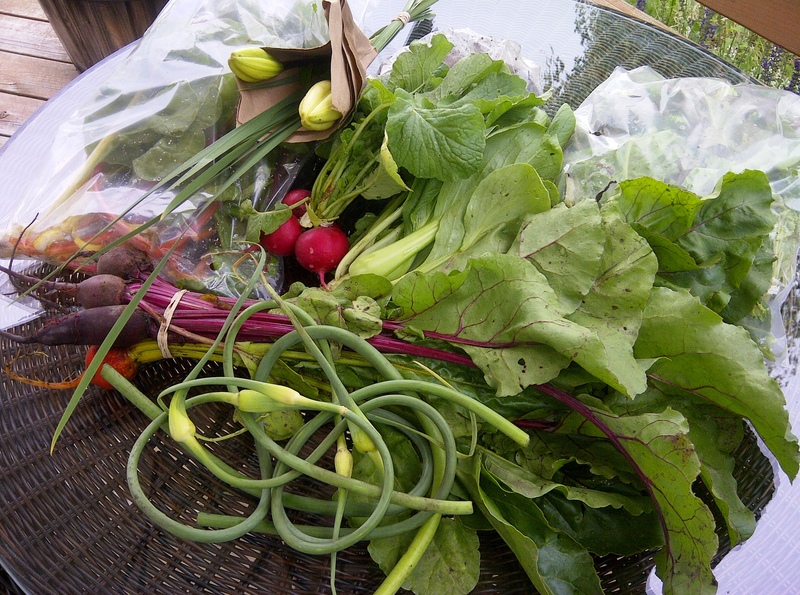 Included in our half-share this time around was a bag of mixed greens, some purple potatoes, rainbow chard, garlic scapes, beets, radishes, baby bok choy, and a small bunch of lilies. We were suppose to get some fresh horseradish, but sadly it didn’t get packed for our delivery. 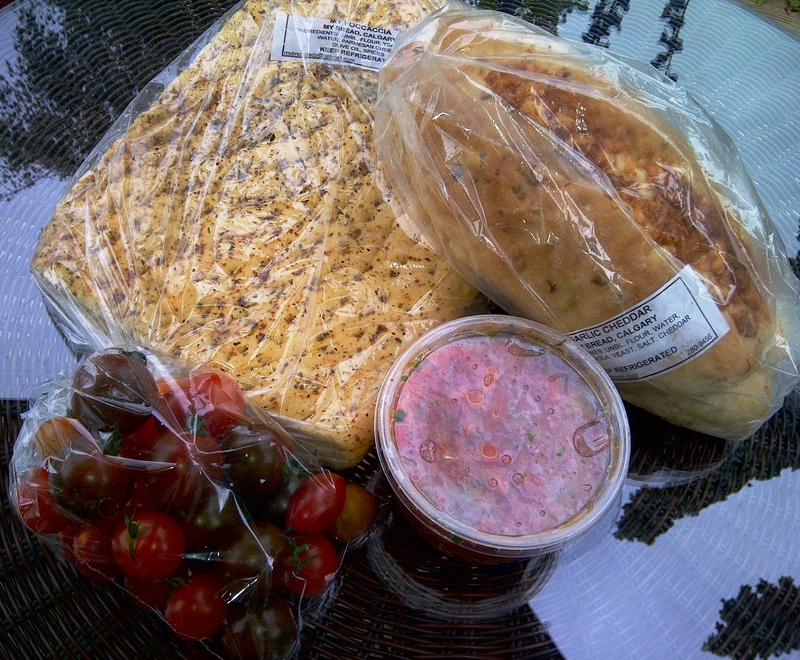 I also picked up some heirloom cherry tomatoes, foccaccia bread, cheddar garlic bread, and bruschetta. Looks like dinner is going to be bruschetta and a salad. Simplicity and freshness at it’s finest. Yummy! Lovely haul 🙂 Come and link up to this week’s CSA Link party when you have a chance…http://inherchucks.com/2012/07/25/whats-in-the-box-36/. Looking forward to having you there!